With our exclusive series of Interviews with Indian Business Leaders, this month we are talking with Mr.Ninad Chhaya (COO – WITS Interactive / Co-Founder and COO – GoPhygital). With the rapid growth in AR & VR industry, following interview thrown a light on state or AR/VR in the country, and explains role of GoPhygital in the segment. GoPhygital is a venture focused on providing immersive, experiential solutions to its client-partners using Augmented Reality, Virtual Reality, and Mixed Reality as the core offerings. GoPhygital has been incubated by WITS Interactive, a Mumbai based DesignTech agency with offices in Munich and London. Q. While VR has a low rate of adoption due to hefty pricing, do you think AR apps like GoPhygital help business owners to improve their customer experience? Yes, Augmented Reality as a technology and a medium is growing at a really rapid pace and businesses across the globe are adopting it to meet their business objectives. This is primarily because unlike VR which needs investment in specific hardware to experience the content, Augmented Reality can be experienced on any smartphone/tablet. In a recent interview, Tim Cook, the CEO of Apple, said that AR has the potential to become as big as the ubiquitous smartphone and help people out in daily life. According to him, unlike Virtual Reality, which closes the world out, AR allows individuals to be present in the world but hopefully allows an improvement on what is happening presently. Also, as compared to a website or a mobile app which most brands use as a current means to engage with their users, AR has the potential to give a greater emotional resonance to objects and topics. By engaging users via Augmented Reality, the technology can create a highly compelling and enjoyable experience. Users experience multiple scenarios in real time without the need for making decisions based on one-dimensional representations. AR apps like the GoPhygital app help business owners to improve their customer experience by leveraging the power of AR to bring alive their brand and enhance the user experience through interactive AR content like games, animations, videos etc. Q. While VR is creating waves in the gaming industry, which industry do you think augmented reality content will naturally fit? It would be unfair to say that VR is creating waves only in the gaming industry. Yes, VR Games are quite popular but VR is also being increasingly used across other verticals like medicine, healthcare, defence, media and entertainment, training etc. Likewise, while gaming is the first application that comes to mind when people mention Augmented Reality, courtesy of Pokémon Go, Augmented Reality also has a natural fit in verticals across education and training, media and entertainment, healthcare, retail, travel and tourism, manufacturing and so on. To elaborate further, the retail & education industry in my opinion are a perfect fit for AR implementation. An example of this is IKEA using AR in their catalogues to sell their furniture. Users place the catalogue in a desired location of their room and use the app to augment digital versions of the selected furniture to give the user an idea of what it will look like in their living space. The education sector can also benefit for AR implementation. Using AR, textbooks can make images, diagrams and historical events come alive, giving the student a deeper understanding on what they are learning about. The added benefit to AR is that it is relatively much cheaper than VR, because all you need is a smartphone/tablet for the experience, which, in today’s world almost everyone owns. With the right type of AR strategy implemented, business/product owners can enhance the user engagement effectively. Q. As you have a strong background in the gaming industry, are you planning VR or AR based gaming content with GoPhygital? Yes, we, at GoPhygital, are currently working on a couple of games in VR and AR. We are also in talks with leading game publishers to collaborate with them in co-producing some VR games based on their IP. However, games are not the only focus area for GoPhygital. We are also currently in advanced stages of discussions with leading players across the media and entertainment industry, pharma and healthcare, and BFSI to define and execute their experiential marketing strategy to create AR/VR content and provide an immersive user experience for their brands. Q. AR and VR are showing huge potential in the education sector. Is GoPhygital collaborating with bigger names in the education sector? Through our parent company, WITS Interactive, we have already released an interesting app, Ben & Bella Treasure Box. The app focuses on teaching the English language to pre-schoolers in a fun and engaging manner using Augmented Reality. WITS Interactive has collaborated with WVG Publishing GmbH, a leading publisher of books in the early education space in Germany, to acquire the global rights to develop and publish mobile apps based on the popular early learning franchise, “Discover English with Ben & Bella”. As a part of this association, we have recently launched a Phygital product called Ben & Bella Treasure Box, an augmented reality app which helps unlock and nurture a child’s curiosity and creativity while teaching the English language. By using the Augmented Reality powered app, the child can embark on a treasure hunt by scanning and discovering hidden goodies across the various physical products of Ben & Bella franchise like activity and sticker books, flash cards etc. The app has received an encouraging response in Europe, which is its primary market and while the app is available globally on Apple App Store and Google Play Store, the physical products will be rolled out in other markets soon, giving pre-schoolers across the globe a truly engaging and Phygital experience in learning English. We are also in talks with leading players in the education sector as well as other verticals like media and entertainment industry, pharma and healthcare, BFSI and a few lifestyle brands to help them define and execute their AR/VR strategy for learning and development purposes. Q. Can AR/VR be the potential promotional mediums for small and medium business in future similar to what ‘Websites & Apps’ are doing today? Yes, AR / VR if planned and executed well can be a very powerful platform for small and medium-sized businesses to build and enhance their customer experiences. 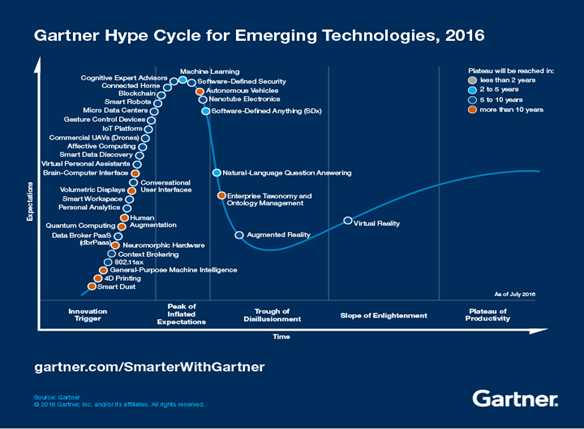 As per the Gartner Hype Cycle for Emerging Technologies for 2016, Augmented Reality and Virtual Reality are expected to become a driving force for businesses in the next 5 to 10 years. However, it must also be noted that there is no “one-size-fits-all” when it comes to defining an AR / VR strategy and what may work for one business may not necessarily work for the other. Also, to design and develop engaging, immersive AR / VR experiences requires investment from a time and cost perspective, both in terms of creating the content and then making it available for users to experience. AR /VR, if executed well, can take the brand and user experience to a completely different level of engagement. Companies looking to invest in AR/VR as part of their marketing and engagement strategy need to be aware of the investment involved, both in terms of time and money, and then take the plunge. A half-hearted attempt, or doing it just for the sake of it can actually backfire and be detrimental to the brand. It is also important to work with the right development partner, who shares your strategic vision and not only understands the technology but also the art of storytelling. AR/VR at its core is storytelling in an immersive format and not just writing code or designing engaging UI-UX. Choosing the right development partner who is well versed and understands all three aspects of design, technology and the art of story-telling along with creating the right strategy to deliver a truly immersive experience can be the difference between you and your competition. An entrepreneur and an avid gamer at heart, Ninad has 20 years of experience in gaming and the interactive media space. He recently joined WITS Interactive Pvt. Ltd. as its COO and is also the Co-Founder and COO of GoPhygital, a VR, AR focused venture incubated by WITS Interactive. 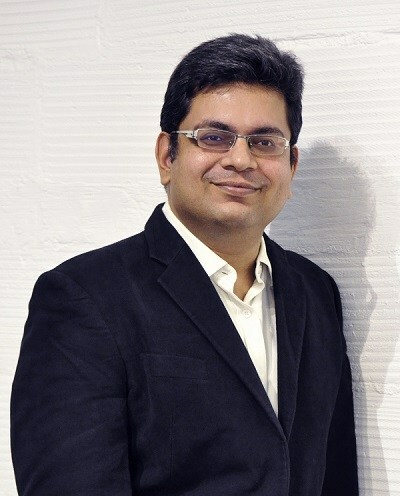 Prior to joining WITS Interactive, Ninad held leadership roles at premium mobile app and game development companies like Robosoft Technologies, Reliance Games and Indiagames and was instrumental in their growth during his tenure with them. Ninad’s foray into gaming was when he co-founded Indiagames Ltd. [now a part of Walt Disney (India) Pvt. Ltd.] and played a key role in building the organization to become a leading global mobile game publisher in its early days. He has extensive experience in creating and publishing games across platforms and has several award-winning games to his credit. Ninad is affiliated with associations like the NASSCOM Gaming Forum (NGF) and the FICCI Animation and Gaming Forum and has also been a speaker at various gaming conferences globally to help promote the gaming culture and developing the gaming industry in India. WITS Interactive is a DesignTech Agency working across digital, print, film and offline medium to provide integrated communication strategies to its clientele. The WITS Interactive Group through its divisions; WITS Interactive Technology (Mobile app and web development services), Black Pepper (Exhibitions, Events & Retail Design), terrawits (Spatial and Environmental Design Solutions), GoPhygital (Experiential solutions through AR, VR, MxR) and CreateID8 (Strategic Brand Design Agency) works across the entire spectrum of brand communication and engagement right from brand identity creation to brand engagement and evolution. With 80 people across 3 offices in Mumbai, Munich and London, WITS Interactive has worked with companies across verticals like media & entertainment houses, publishing, pharma and healthcare, manufacturing, gaming and advertising agencies to effectively deliver the right communication solutions since its inception in 2000.